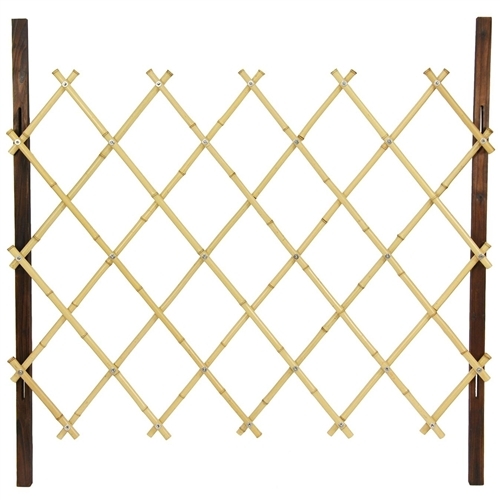 Folding Japanese bamboo fence or gate. 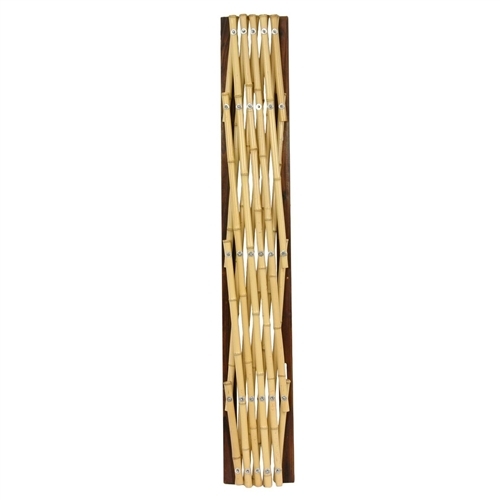 Constructed using durable kiln-dried wood finished in a dark walnut stain and naturally light bamboo poles. Lacquered bamboo forms a diamond pattern which allows convenient folding for easy storage or transportation. Use as a decorative garden or pathway border, or porch fence, then easily fold and store during bad weather. 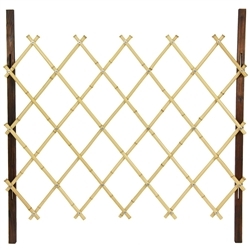 6ft Tall Outdoor Wicker Folding Privacy Screen Partition 6ft tall Outdoor Privacy Folding Screen 6ft Tall Outdoor Wicker Folding Privacy Screen Partition in 5 Panels Asian Bamboo Kumo Fence 4 ft. x 5 ½ ft.